I’ve reviewed a lot of different things over the years…jeans, tank tops, a candle…but never undergarments (actually I just realized I haven’t even reviewed shorts yet). 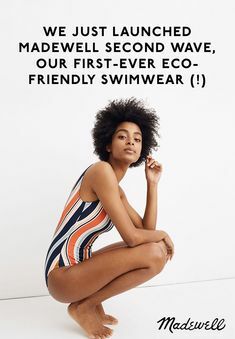 But I’m all for covering anything that’s cool in some unique way, especially if it is environmentally conscious. That last link for the candle was from a company (Hemp Blue) that also creates hemp jeans (surprise surprise), and I’ve written about a lot of companies that use hemp in their manufacturing. I was recently contacted by another one, WAMA Underwear. First off, I hope everyone had a great holiday season, if that’s your thing! I’m pretty sure it was obvious I was taking a break to enjoy it…I actually ended up in Hawaii for a few days! It was a much needed break. While I was gone, one of my favorite companies I’ve worked with so far (due to the fact that they fit my main focus: short production, independently owned sustainable brands) added some of the coolest new leggings to their collections…namely the ones I wore in my last post! Something you may have only seen if you follow me on Instagram, was another piece sent to me by the brand, so as promised, I’m happy to present them both, right now! Here are two new crystal infused pieces from Seed of Creation, a family-run, ethical and sustainable brand out of Bali. I was so excited to share the Nomads Hemp Wear Fall/Winter 2018 line for you guys a little while back, mostly because it’s one of my top go-to brands. This Canadian brand creates super affordable and high quality sustainable and ethical pieces and have definitely established a solid place in my wardrobe! I have numerous pieces from them, and I was stoked for them to have sent me this gorgeous piece, the Revelation Tunic. Made from hemp terry, it’s created with contrasting panels, raw edges and eye catching yet modest detailing. 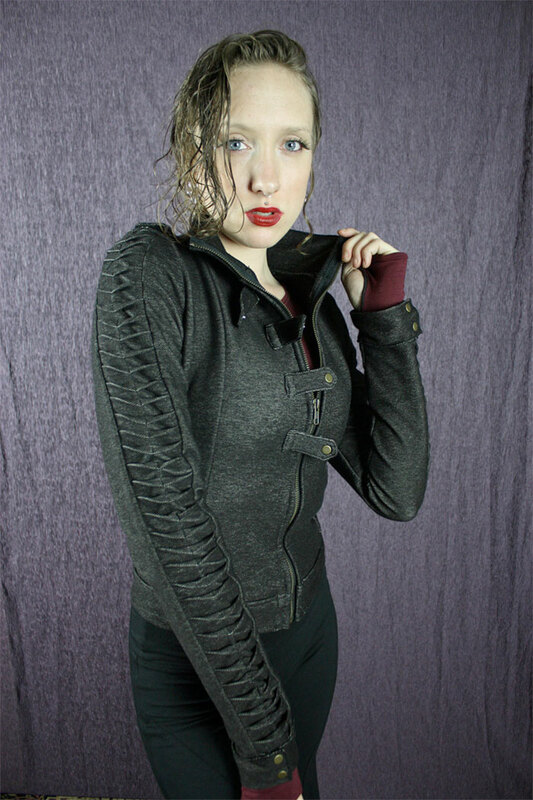 It’s also super super soft, and also comes in several other color options! The brand says “this tunic is equal parts urban night out and cozy day at the cabin,” and I can’t disagree. I’ve worn this to work, to get cozy at friends’ houses, and to wander around the town, just as I do with everything else I own from the brand! That’s yet one of the things that makes their work so amazing…the versatility. Pretty much every one of their pieces in my closet also sits proudly as part of my festival wear collection. I know, I pretty much just wrote about this brand like three posts ago…but can you really blame me? You’d do the same if you were me—if you ran a blog based on sustainable fashion and had a top favorite brand that consistently released some of the most original, high quality, and affordable ethical pieces out there. 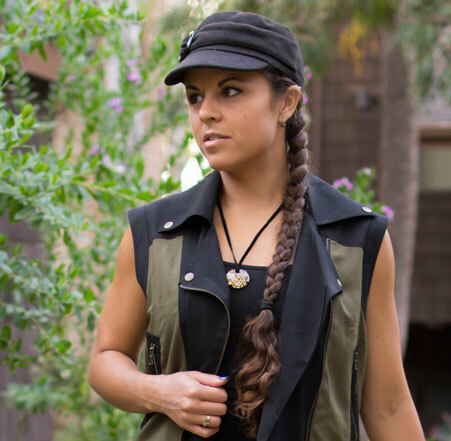 Nomads Hemp Wear is slowly but surely taking over my closet…guilt free! 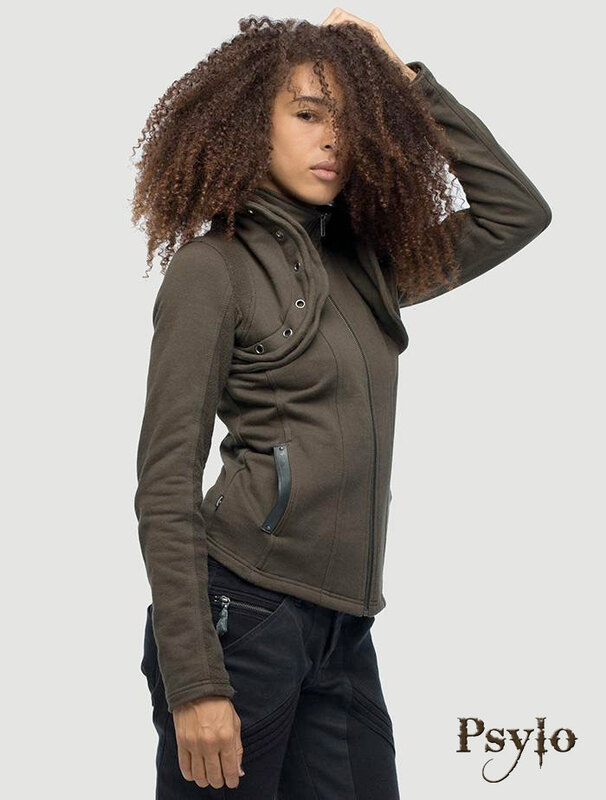 As mentioned in several of my posts before about them, this Canadian brand has taken sustainable apparel and made it a lot more widely available for the masses. I don’t just mean in terms of affordability, but also in terms of style. Everything they create can be worn at festivals, street, out on the town or just to lounge around the house, and I feel it all brilliantly caters to a large range of tastes. Nomads Hemp Wear pieces may be super original and creative, but it also encapsulates a fairly minimal aesthetic. In a world where so many eco friendly brands are more about basic wardrobe essentials, these guys take it a very pleasing step further. Life has been pretty ridiculously busy lately (how does that seem to automatically happen as you get older? We may never really know) as I’m sure you’ve noticed, which has reduced my posts to about once a week. Every now and then, I still have to drop the ball due to life obligations, but I still love what this blog has brought me and having the platform to voice what is important to me: sustainable and eco-friendly fashion (and denim, of course), so I’m not going anywhere!! I just have to write when I can, nowadays. On that note, I’m finally leaving for another much-needed two-week vacation tomorrow! It’s been a year since my last one, when my husband and I rushed off to the Global Eclipse Gathering in Oregon to see the full solar eclipse and party our happy butts off with about 40,000 other hippies and hippies at heart. This year, we’re lucky enough to solidify our presence at Black Rock City…otherwise known as Burning Man! We are part of an established theme camp, Stellar Dusty Moon, and I’ll be one of the camp DJs. I also have a couple of opportunities to provide tunes elsewhere, including art cars! I can’t wait to experience this next level of free expression and “radical self reliance” in what’s meant to be a purely participatory culture (since it is pretty much a temporary city after all). Being exposed to the “transformational” or “conscious” festival circuit has opened me up to such an incredibly awesome new world of independent style. Many people know they should be shopping more sustainably, but aren’t quite sure where to look…and browsing through (and getting to know) the vendors at many of these events has gotten me accustomed to the true benefit of supporting some of these hard working artists—supporting small is always good, but it’s also about the quality (you can tell when there’s real love put into someone’s work), ethical nature (no sweat shops), and unique appeal (the creativity always blows me away)! I’m sure you’ve seen me pouring out my love for plenty of these particular designers over the years, but apart from specifics, this newfound knowledge has been a very useful lead in finding others that I may not find at festivals. One of them being ZhenNymph, one of my absolute favorites! 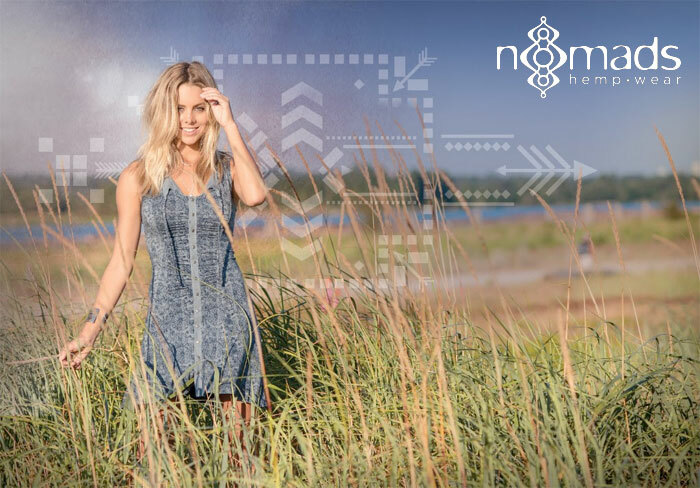 Spring Summer 2018 from Nomads Hemp Wear is Here! I usually do not include exclamation marks in my post titles…I’m not all that into sensationalism (and they aren’t the best for search engine optimization). However, I’m such a huge fan of this brand—I don’t think there’s any other seasonal release from any other that I look forward to with such excitement! I can’t even remember how I discovered Nomads Hemp Wear, but it’s been a sweet, sweet relationship between them and my wardrobe for several years now. Eco-friendly and sustainable apparel can be more on the expensive side, but this Canadian brand has almost revolutionized that market by doing everything they could to keep prices down while keeping their entire production fair trade, and everything is made with such amazing attention to quality and comfort, as well as unique, intricate detailing and prints. Their tops have been in several of my older denim reviews, such as this one and this one, and outfit posts like this one. Several other pieces of theirs I also wear at festivals, so I love how versatile their creations are! From parties to casual moments to the office or out on the town, they’ve basically got you covered. About seven days ago, they released their Spring/Summer 2018 collection, and (no surprise) I’ve already placed an order (that Demure Tank below, hello)! It can be quite hard to shop for moms…by that time in a woman’s life, she might be fairly particular and settled in her tastes and not quite feel the need for additional items around the house. Sometimes all that moms want is your company, which really is better than any gift! Jewelry, a card or flowers are always a given, but sometimes they can seem so cliché. Many people opt for DIY gifts, but how many of us have the time nowadays to craft something up? Mother’s Day is one of those times when a special, unique gift can go a long way. Personalization is a huge option, but where can you go for something emblazoned with a personal message that doesn’t cost an arm and a leg? I don’t know why Etsy is still often seen as simply a place where creative folks offer whatever crafts they deem special enough to purchase (which it kid of is, but..), because it’s seriously one of the best places to find quality items made with love to pass on to loved ones (or keep for yourself), that you can’t find anywhere else. I’ve written several posts featuring this fun shopping destination, featuring Valentine’s Day gifts, leather tote bags, Etsy shops by friends, and some of my favorite general finds. I love supporting independent artists a whole lot more than huge chain stores or brands! 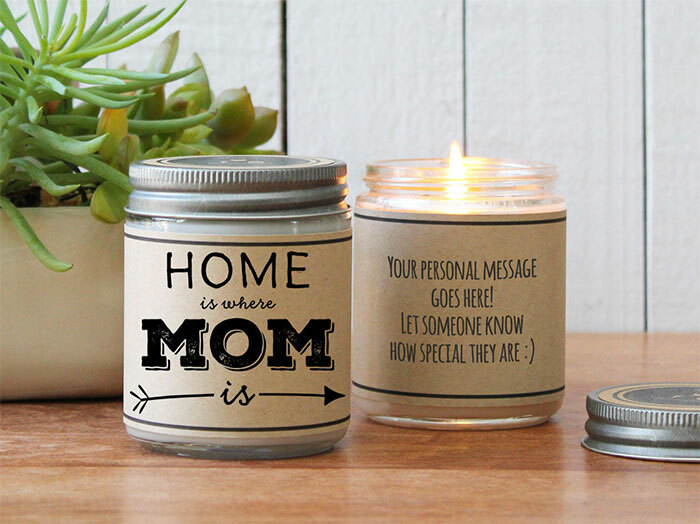 So I decided to curate a post featuring 20 unique last minute Mother’s Day gifts from Etsy! So it’s been about a week and a half since my favorite event on the face of the planet: Lucidity Festival. For those just tuning in now, I am inspired so much by all of the independent apparel vendors at conscious festivals, especially this one! Since I started this blog writing about denim, it can be a difficult transition to mix a lot of these styles into my blog (although I’ll write about any of them that truly fit my style, as there are truly tons of great ones out there), but sometimes I find gems…handmade and sustainable brands that also use denim! One of these small businesses is one I saw last year at Lucidity and I was happy to see return to this year’s is Kinetic Couture. When I look back at the Oregon Eclipse festival my husband and I attended last year, I not only think about how incredible that life-changing cosmic spectacle was…but also all of the amazing apparel vendors I discovered. I know I had mentioned I’d cover them all, but I haven’t even gotten close. I did highlight my favorites though! Eternal Mode, Symbolika, SoulCrafts and Psylo were four I hadn’t seen before that stood out to me, and it’s been fun watching these independent brands grow and come out with new designs. I am such a huge fan of earthy, boho, festival style that looks like it belongs in the desert or forest rather than bouncing around with my squad at Coachella (not that there’s anything wrong with that), because of the intricate and one of a kind creativity, attention to detail, and the importance placed on earth-friendly fabrics and processes. Plus, I always love supporting the little guys. I figured I’d revisit a favorite…I’m once again drooling at several new nomadic street style looks from Psylo!